On a gorgeous day like today Saturday March 16th, I feel itâ€™s important to focus on simplicity. This is the Poutine Your Mouth. Itâ€™s traditional Poutine at its finest. Salads, Hot Sandwiches, Poutine. Vegan, Vegetarian, Meaty Options for everyone. Kids and Senior meals with a drink start at $6. Brunch much?? Lopez itâ€™s an absolutely stunning gorgeous Sunday March 3rd. Put an egg on anything. 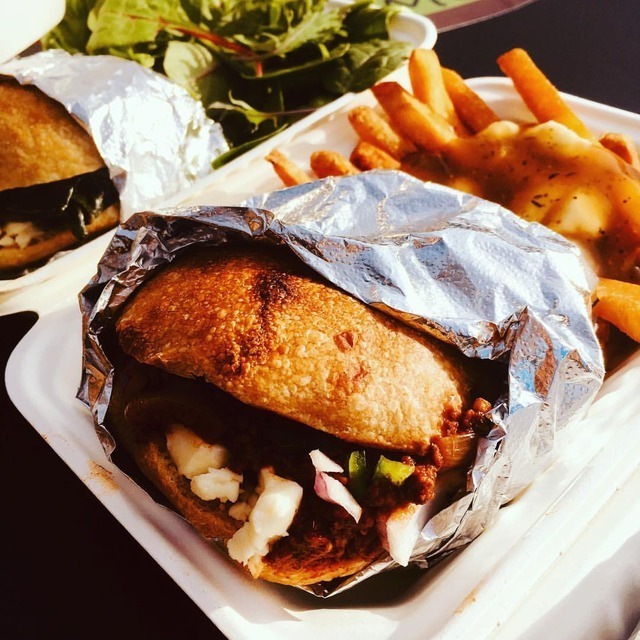 We will make you an artisan sandwich @barnowlbakery or wrap to order, or try a Hangover Poutine - Crispy Fries,organic cheese curds from @goldenglencreamery bacon @jackmountainmeats with organic maple drizzle. Throw back to a couple weeks ago when it was â€œwarmâ€. 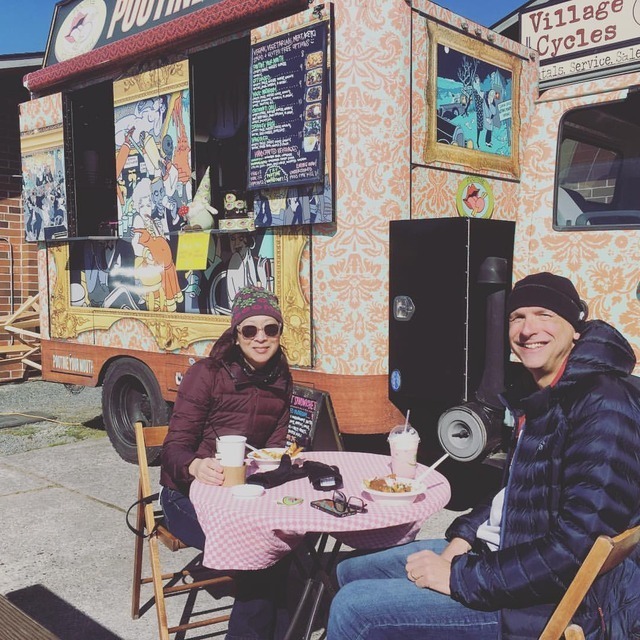 Itâ€™s Saturday February 9th - the food truck might blow away, ðŸ¤£ but we still want to feed you!!!!!! We are open 11-3pm. 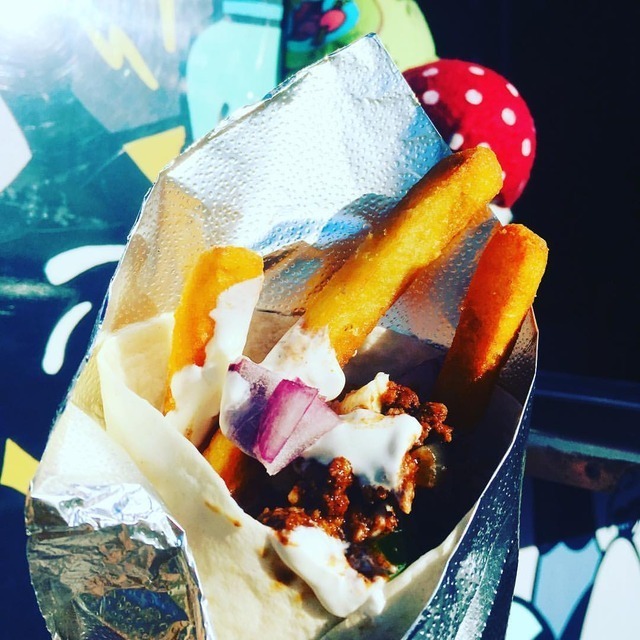 Did you know any of our Poutines can be served â€œwrapâ€ style for a more hands on, delicious experience!!!! This is the Cincinnati chili with fries, in a wrap. Who loves curry???? 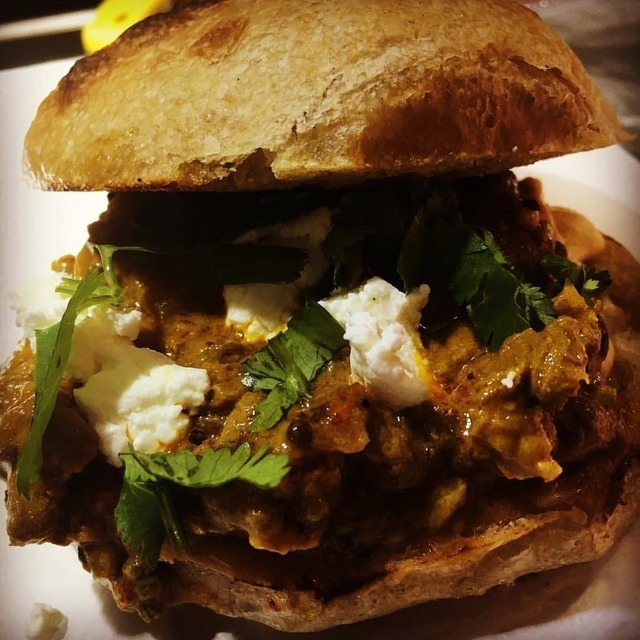 This is the most amazing recipe from my dear friend @cescautonic weâ€™ve adapted it to a hot sandwich @barnowlbakery (pictured here) or you can get it in top of crispy fries and cheese curds topped with @sunnyfieldfarm goat cheese and cilantro. Slow cooked tender bites of organic lamb in a nariyal ka gosht curry. Today Sunday December 30th from 10-3PM would be a gorgeous day to treat your taste buds! #curry #love #liveauthentic #local (at Poutine Your Mouth) https://www. â€œBaby its cold outside!! !â€ It is gorgeous and sunny â˜€ï¸, but brrrr. 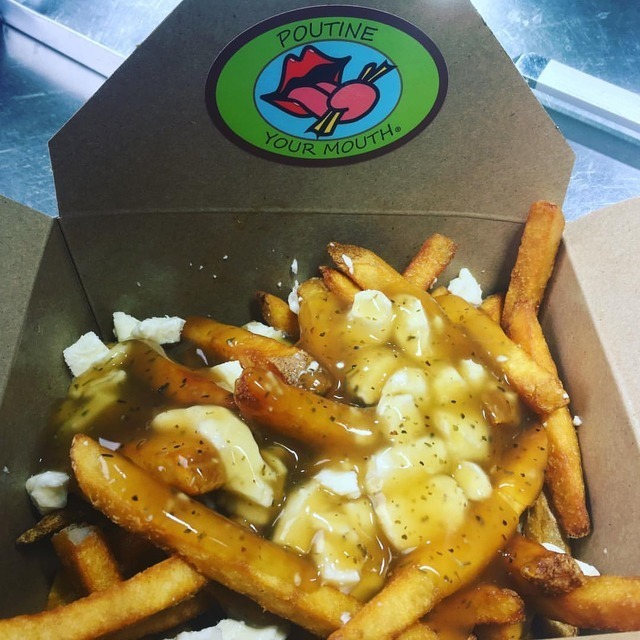 Let Poutine Your Mouth warm your soul today Tuesday December 4th from 10-3PM in the Village next to @psrpaperscissors with a hot sandwich. This one is a Cincinnati Joe (100% ground beef chili Cincinnati Style, fresh red onions & jalapeÃ±os) on your choice of a @barn owl bakery Sandwich roll or gluten free bread, with a small side of basic Poutine (Crispy Fries, organic cheese curds and herb veggie gravy). Actual flavor, not pictured. 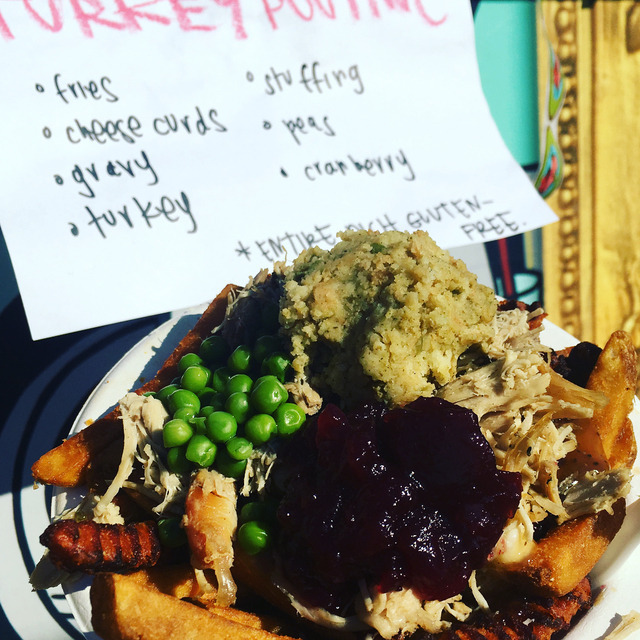 :) itâ€™s Turkey Dinner Poutine all weekend. Can you ever have enough turkey dinner??? 11-3 Saturday, Sunday, Monday and Tuesday! 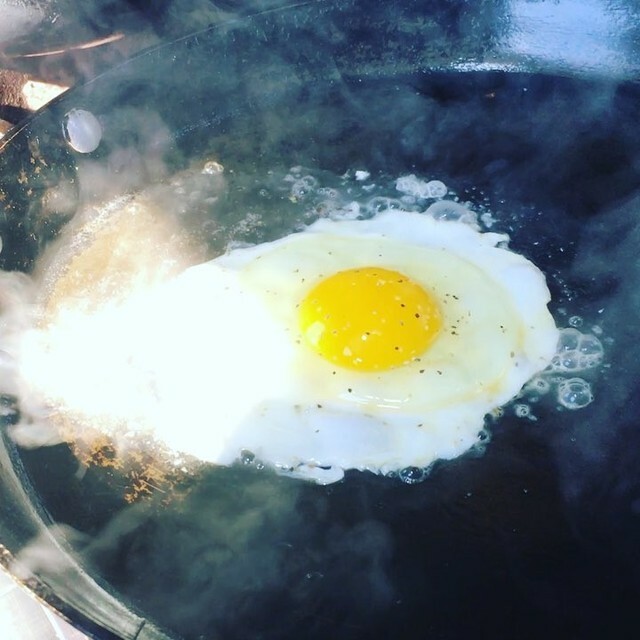 We use 100% organic coconut oil for frying. Lopez, we look forward to Turkey Dinner Poutine all year!!! 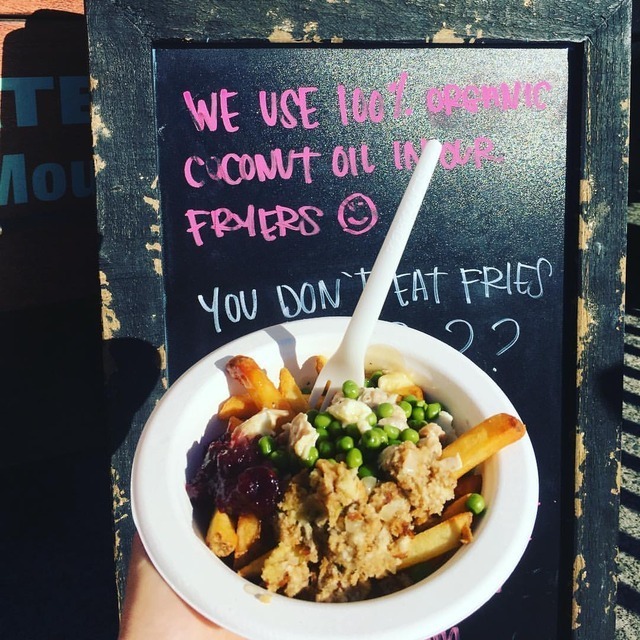 Yes itâ€™s exactly like it sounds the entire turkey dinner in one fabulous Poutine bowl! Donâ€™t feel like cooking today??? Sunday 11/11 from 11-3PM in the Village. 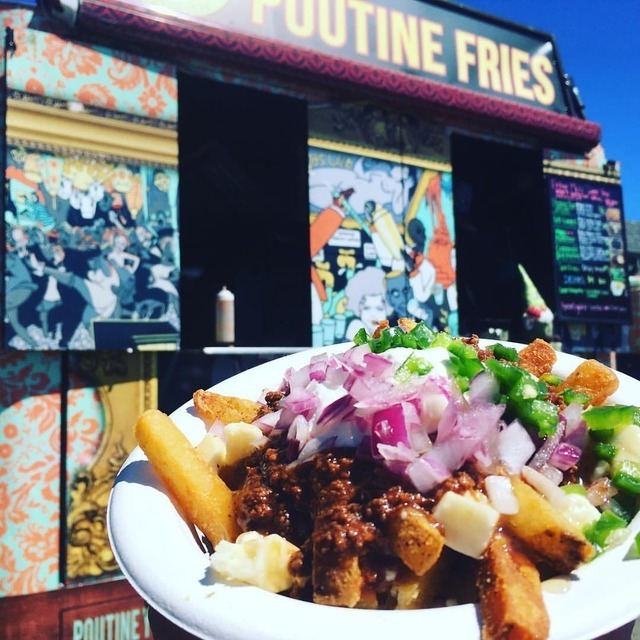 Let us Poutine Your Mouth, warm your soul, make your tummy happy, and keep your kitchen clean!!!! Entire Menu gluten free. Vegan, Vegetarian, Keto and Salad options. Our first concert in Lopez!!! Abby Road at the Community Center. Come see us until 10PM, Poutine Your Mouth, dance, enjoy some Beetles!!!! 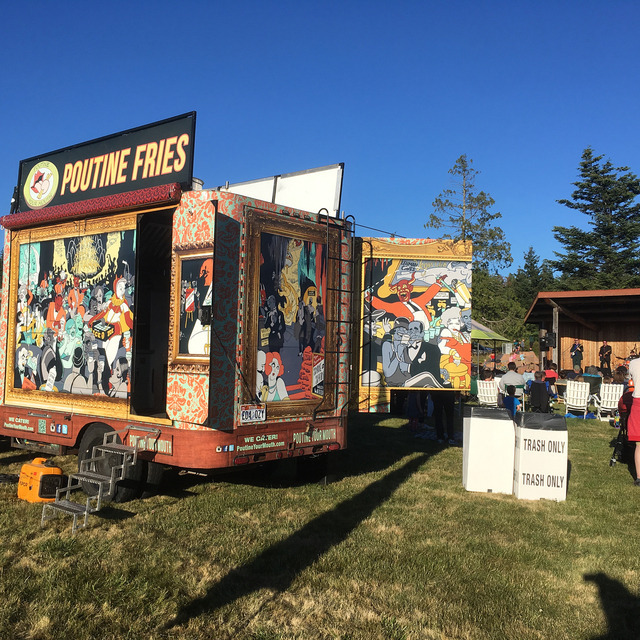 ðŸ˜˜ #poutine #foodie #lopezisland #glutenfree #family #love #music #community #summer @lopezchamber #lopezcomminitycenter.